Sam Rogers: You are panicking. 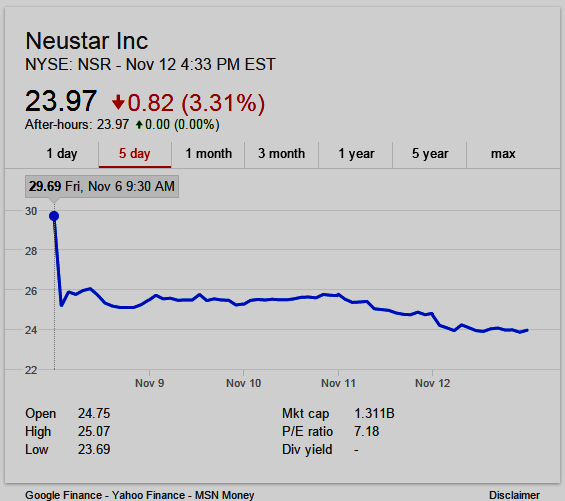 It's been a rough ride for technology company and Domain Name Registry (.biz, .co, .us, .nyc, et al), Neustar, and its shareholders, since last Friday. The stock is now down over 19% in just 5 trading days, as the above indicates. 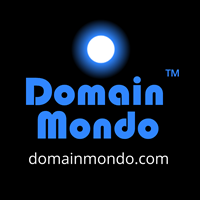 For more information and background, see previous posts on Domain Mondo at links further below. Neustar $NSR Will Lose $500 Million Annual Revenue, 80% Downside? 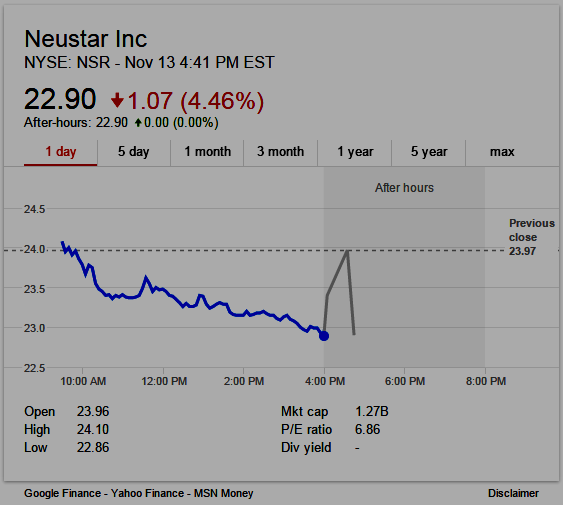 See also: Neustar Securities Litigation: "This official website is maintained by the Claims Administrator retained and supervised by Lead Counsel for the members of the Settlement Class in the Action entitled, In re Neustar, Inc. Securities Litigation, Case No. 14-CV-00885 JCC TRJ (the “Action”), which is pending in the United States District Court for the Eastern District of Virginia Alexandria Division."